Anthony serves as FETTI’s Treasurer. In this capacity, Anthony is responsible for maintaining FETTI’s financial records. He receives and disburses all funds with approval of the Board and routinely prepares financial reports for the FETTI Board. 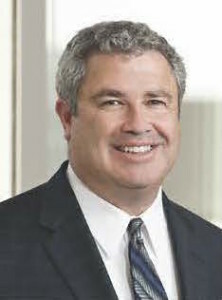 Anthony is an attorney and partner with Wilson Elser Moskowitz Edelman & Dicker LLP (Wilson Elser). As the lead attorney in the Chicago office’s toxic tort practice, Anthony has supervised thousands of asbestos, mold, benzene, carbon monoxide and welding rod cases and continues to represent clients in these matters. He has a growing practice in the construction and premises liability area and currently supervises the Chicago office’s defense of a prominent Illinois road construction company in personal injury and property damage claims. He also represents a number of clients in commercial disputes over vendor contracts and other types of business agreements. Anthony’s admissions include the Illinois Bar, the U.S. District Court’s Central, Northern and Southern Districts of Illinois, the U.S. District Court’s Eastern and Western Districts of Wisconsin and the U.S. District Court’s Northern District of Indiana. Anthony’s several degrees include a Ph.D from the University of Chicago, (2002), a J.D. from the Chicago-Kent College of Law (1994), an M.A. from the University of Chicago (1986) and a B.A. from the University of Wisconsin–Madison (1984).